Wella Welloxon Perfect 6%(20vols) 1Ltr is a creme developer formulated for use with Koleston Perfect, Magma and Blondor Bleaching products. Available in 1ltr or 500ml. Wella Welloxon Perfect 9%(30vols) 1Ltr is a creme developer formulated for use with Koleston Perfect, Magma and Blondor Bleaching products. Wella Welloxon Perfect 12%(40vols) 1Ltr is a creme developer formulated for use with Koleston Perfect, Magma and Blondor Bleaching products. Wella Welloxon Perfect Pastel 1Ltr is a creme developer formulated for use with Koleston Perfect, Magma and Blondor Bleaching products. Wella Koleston Perfect Permanent Creme Hair Color 10/0 Lightest Blonde. Wella Koleston Perfect Permanent Creme Hair Color 12/0 Special Natural Blonde. Wella Koleston Perfect Permanent Creme Hair Color 22/0 Intense Black. Wella Koleston Perfect Permanent Creme Hair Color 33/0 Intense Dark Brown. Wella Koleston Perfect Permanent Creme Hair Color 4/0 Medium Brown. Wella Koleston Perfect Permanent Creme Hair Color 44/0 Intense Medium Brown. Wella Koleston Perfect Permanent Creme Hair Color 5/0 Light Brown. Wella Koleston Perfect Permanent Creme Hair Color 55/0 Intense Light Brown. Wella Koleston Perfect Permanent Creme Hair Color 6/0 Dark Blonde. Wella Koleston Perfect Permanent Creme Hair Color 6/00 Dark Natural Blonde. Wella Koleston Perfect Permanent Creme Hair Color 66/0 Intense Dark Blonde. Wella Koleston Perfect Permanent Creme Hair Color 7/0 Medium Blonde. Wella Koleston Perfect Permanent Creme Hair Color 7/00 Medium Natural Blonde. Wella Koleston Perfect Permanent Creme Hair Color 77/0 Intense Medium Blonde. Wella Koleston Perfect Permanent Creme Hair Color 8/0 Light Blonde. Wella Koleston Perfect Permanent Creme Hair Color 8/00 Light Natural Blonde. Wella Koleston Perfect Permanent Creme Hair Color 88/0 Intense Light Blonde. Wella Koleston Perfect Permanent Creme Hair Color 9/0 Very Light Blonde. Wella Koleston Perfect Permanent Creme Hair Color 99/0 Intense Very Light Blonde. Wella Koleston Perfect Permanent Creme Hair Color 0/11 Intense Ash Mix. Wella Koleston Perfect Permanent Creme Hair Color 0/22 Intense Cool Ash Mix. 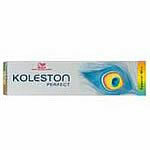 Wella Koleston Perfect Permanent Creme Hair Color 0/28 Petrol Mix. Wella Koleston Perfect Permanent Creme Hair Color 0/33 Gold Mix. Wella Koleston Perfect Permanent Creme Hair Color 0/43 Rot-Gold Mix. Wella Koleston Perfect Permanent Creme Hair Color 0/45 Rich Red Mix. Wella Koleston Perfect Permanent Creme Hair Color 0/65 Deep Pink Mix. Wella Koleston Perfect Permanent Creme Hair Color 0/66 Violet Mix. Wella Koleston Perfect Permanent Creme Hair Color 0/81 Pearl Ash Mix. 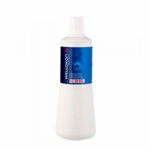 Wella Koleston Perfect Permanent Creme Hair Color 0/88 Blue Mix. Wella Koleston Perfect Permanent Creme Hair Color 10/03 Lightest Natural Gold Blonde. Wella Koleston Perfect Permanent Creme Hair Color 10/1 Lightest Ash Blonde. Wella Koleston Perfect Permanent Creme Hair Color 10/16 Lightest Ash Violet Blonde. Wella Koleston Perfect Permanent Creme Hair Color 10/3 Lightest Gold Blonde. Wella Koleston Perfect Permanent Creme Hair Color 10/38 Lightest Gold Pearl Blonde. Wella Koleston Perfect Permanent Creme Hair Color 10/8 Lightest Pearl Blonde. Wella Koleston Perfect Permanent Creme Hair Color 12/03 Special Natural Gold Blonde. Wella Koleston Perfect Permanent Creme Hair Color 12/1 Special Ash Blonde. Wella Koleston Perfect Permanent Creme Hair Color 12/11 Special Intense Ash Blonde. Wella Koleston Perfect Permanent Creme Hair Color 12/16 Special Ash Violet Blonde. Wella Koleston Perfect Permanent Creme Hair Color 12/17 Special Ash Brunette Blonde. Wella Koleston Perfect Permanent Creme Hair Color 12/61 Special Violet Ash Blonde. Wella Koleston Perfect Permanent Creme Hair Color 12/81 Special Pearl Ash Blonde. 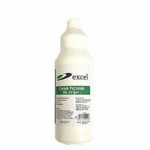 Wella Koleston Perfect Permanent Creme Hair Color 12/89 Special Pearl Cendre Blonde. NEW Wella Koleston Perfect Permanent Creme Hair Color 12/96 Special Cendre Violet Blonde. Wella Koleston Perfect Permanent Creme Hair Color 33/66 Dark Intense Violet Brown. Wella Koleston Perfect Permanent Creme Hair Color 4/07 Medium Natural Brunette Blonde. Wella Koleston Perfect Permanent Creme Hair Color 44/44 Medium Intense Red Brown. Wella Koleston Perfect Permanent Creme Hair Color 44/65 Medium Intense Violet Mahogany Brown. Wella Koleston Perfect Permanent Creme Hair Color 4/75 Medium Brunette Mahogany Brown. Wella Koleston Perfect Permanent Creme Hair Color 4/77 Medium Intense Brunette Brown. Wella Koleston Perfect Permanent Creme Hair Color 5/07 Light Natural Brunette Brown. Wella Koleston Perfect Permanent Creme Hair Color 5/1 Light Ash Brown. Wella Koleston Perfect Permanent Creme Hair Color 5/37 Light Gold Brunette Brown. Wella Koleston Perfect Permanent Creme Hair Color 5/4 Light Red Brown. Wella Koleston Perfect Permanent Creme Hair Color 5/41 Light Red Ash Brown. Wella Koleston Perfect Permanent Creme Hair Color 5/5 Light Mahogany Brown. Wella Koleston Perfect Permanent Creme Hair Color 55/46 Light Intense Red Violet Brown. Wella Koleston Perfect Permanent Creme Hair Color 55/65 Light Intense Violet Mahogany Brown. Wella Koleston Perfect Permanent Creme Hair Color 55/66 Light Intense Violet Brown. Wella Koleston Perfect Permanent Creme Hair Color 5/73 Light Brunette Gold Brown. Wella Koleston Perfect Permanent Creme Hair Color 5/75 Light Brunette Mahogany Brown. Wella Koleston Perfect Permanent Creme Hair Color 5/77 Light Intense Brunette Brown. Wella Koleston Perfect Permanent Creme Hair Color 6/07 Dark Natural Brunette Blonde. Wella Koleston Perfect Permanent Creme Hair Color 6/1 Dark Ash Blonde. Wella Koleston Perfect Permanent Creme Hair Color 6/3 Dark Gold Blonde. Wella Koleston Perfect Permanent Creme Hair Color 6/34 Dark Gold Red Blonde. Wella Koleston Perfect Permanent Creme Hair Color 6/41 Dark Red Ash Blonde. Wella Koleston Perfect Permanent Creme Hair Color 6/43 Dark Red Gold Blonde. Wella Koleston Perfect Permanent Creme Hair Color 6/5 Dark Mahogany Blonde. Wella Koleston Perfect Permanent Creme Hair Color 66/44 Dark Intense Red Blonde. Wella Koleston Perfect Permanent Cr?me Hair Color 66/46 Dark Intense Red Violet Blonde. Wella Koleston Perfect Permanent Creme Hair Color 66/56 Dark Intense Mahogany Violet Blonde. Wella Koleston Perfect Permanent Creme Hair Color 6/7 Dark Brunette Blonde. Wella Koleston Perfect Permanent Creme Hair Color 6/73 Dark Brunette Gold Blonde. Wella Koleston Perfect Permanent Creme Hair Color 6/74 Dark Brunette Red Blonde. Wella Koleston Perfect Permanent Creme Hair Color 6/75 Dark Brunette Mahogany Blonde. Wella Koleston Perfect Permanent Creme Hair Color 6/77 Dark Intense Brunette Blonde. Wella Koleston Perfect Permanent Creme Hair Color 7/03 Medium Natural Gold Blonde. Wella Koleston Perfect Permanent Creme Hair Color 7/07 Medium Natural Brunette Blonde. Wella Koleston Perfect Permanent Creme Hair Color 7/1 Medium Ash Blonde. Wella Koleston Perfect Permanent Creme Hair Color 7/17 Medium Ash Brunette Blonde. Wella Koleston Perfect Permanent Creme Hair Color 7/3 Medium Gold Blonde. Wella Koleston Perfect Permanent Creme Hair Color 7/34 Medium Gold Red Blonde. Wella Koleston Perfect Permanent Creme Hair Color 7/37 Medium Gold Brunette Blonde. Wella Koleston Perfect Permanent Creme Hair Color 7/38 Medium Gold Pearl Blonde. Wella Koleston Perfect Permanent Creme Hair Color 7/4 Medium Red Blonde. Wella Koleston Perfect Permanent Creme Hair Color 7/7 Medium Brunette Blonde. Wella Koleston Perfect Permanent Creme Hair Color 7/73 Medium Brunette Gold Blonde. Wella Koleston Perfect Permanent Creme Hair Color 77/46 Medium Intense Red Violet Blonde. Wella Koleston Perfect Permanent Creme Hair Color 7/75 Medium Brunette Mahogany Blonde. Wella Koleston Perfect Permanent Creme Hair Color 8/03 Light Natural Gold Blonde. Wella Koleston Perfect Permanent Creme Hair Color 8/07 Light Natural Brunette Blonde. Wella Koleston Perfect Permanent Creme Hair Color 8/1 Light Ash Blonde. Wella Koleston Perfect Permanent Creme Hair Color 8/3 Light Gold Blonde. Wella Koleston Perfect Permanent Creme Hair Color 8/34 Light Gold Red Blonde. Wella Koleston Perfect Permanent Creme Hair Color 8/38 Light Gold Pearl Blonde. Wella Koleston Perfect Permanent Creme Hair Color 8/43 Light Red Gold Blonde. Wella Koleston Perfect Permanent Creme Hair Color 8/7 Light Brunette Blonde. Wella Koleston Perfect Permanent Creme Hair Color 8/73 Light Brunette Gold Blonde. Wella Koleston Perfect Permanent Creme Hair Color 8/74 Light Brunette Red Blonde. Wella Koleston Perfect Permanent Creme Hair Color 9/03 Very Light Natural Gold Blonde. Wella Koleston Perfect Permanent Creme Hair Color 9/1 Very Light Ash Blonde. Wella Koleston Perfect Permanent Creme Hair Color 9/16 Very Light Ash Violet Blonde. Wella Koleston Perfect Permanent Creme Hair Color 9/17 Very Light Ash Brunette Blonde. Wella Koleston Perfect Permanent Creme Hair Color 9/3 Very Light Gold Blonde. Wella Koleston Perfect Permanent Creme Hair Color 9/38 Very Light Gold Pearl Blonde. Wella Koleston Perfect Permanent Creme Hair Color 9/7 Very Light Brunette Blonde. Wella Koleston Perfect Permanent Creme Hair Color 9/8 Very Light Pearl Blonde. Wella Koleston Perfect Innosense 2/0 Black, 1st permanent colour of its kind to receive the European Centre Allergy Research Foundation seal of approval, Perfect Innosense creme colour formula contains up to 25% conditioning agents and lipids, up to 100% grey/white coverage. Wella Koleston Perfect Innosense 3/0 Dark Brown, 1st permanent colour of its kind to receive the European Centre Allergy Research Foundation seal of approval, Perfect Innosense creme colour formula contains up to 25% conditioning agents and lipids, up to 100% grey/white coverage. Wella Koleston Perfect Innosense 4/0 Medium Brown, 1st permanent colour of its kind to receive the European Centre Allergy Research Foundation seal of approval, Perfect Innosense creme colour formula contains up to 25% conditioning agents and lipids, up to 100% grey/white coverage. Wella Koleston Perfect Innosense 5/0 Light Brown, 1st permanent colour of its kind to receive the European Centre Allergy Research Foundation seal of approval, Perfect Innosense creme colour formula contains up to 25% conditioning agents and lipids, up to 100% grey/white coverage. Wella Koleston Perfect Innosense 6/0 Dark Blonde, 1st permanent colour of its kind to receive the European Centre Allergy Research Foundation seal of approval, Perfect Innosense creme colour formula contains up to 25% conditioning agents and lipids, up to 100% grey/white coverage. Wella Koleston Perfect Innosense 7/0 Medium Blonde, 1st permanent colour of its kind to receive the European Centre Allergy Research Foundation seal of approval, Perfect Innosense creme colour formula contains up to 25% conditioning agents and lipids, up to 100% grey/white coverage. Wella Koleston Perfect Innosense 8/0 Light Blonde, 1st permanent colour of its kind to receive the European Centre Allergy Research Foundation seal of approval, Perfect Innosense creme colour formula contains up to 25% conditioning agents and lipids, up to 100% grey/white coverage. Wella Koleston Perfect Innosense 9/0 Very Light Blonde, 1st permanent colour of its kind to receive the European Centre Allergy Research Foundation seal of approval, Perfect Innosense creme colour formula contains up to 25% conditioning agents and lipids, up to 100% grey/white coverage. Wella Koleston Perfect Innosense 10/0 Lightest Blonde, 1st permanent colour of its kind to receive the European Centre Allergy Research Foundation seal of approval, Perfect Innosense creme colour formula contains up to 25% conditioning agents and lipids, up to 100% grey/white coverage. Wella Koleston Perfect Innosense 0/0 Clear Tone, 1st permanent colour of its kind to receive the European Centre Allergy Research Foundation seal of approval, Perfect Innosense creme colour formula contains up to 25% conditioning agents and lipids, up to 100% grey/white coverage. Wella Koleston Perfect Innosense 7/1 Medium Ash Blonde, 1st permanent colour of its kind to receive the European Centre Allergy Research Foundation seal of approval, Perfect Innosense creme colour formula contains up to 25% conditioning agents and lipids, up to 100% grey/white coverage. Wella Koleston Perfect Innosense 9/1 Very Light Ash Blonde, 1st permanent colour of its kind to receive the European Centre Allergy Research Foundation seal of approval, Perfect Innosense creme colour formula contains up to 25% conditioning agents and lipids, up to 100% grey/white coverage. Wella Koleston Perfect Innosense 10/88 Lightest Intense Pearl Blonde, 1st permanent colour of its kind to receive the European Centre Allergy Research Foundation seal of approval, Perfect Innosense creme colour formula contains up to 25% conditioning agents and lipids, up to 100% grey/white coverage. Wella Koleston Perfect Innosense 6/3 Dark Gold Blonde, 1st permanent colour of its kind to receive the European Centre Allergy Research Foundation seal of approval, Perfect Innosense creme colour formula contains up to 25% conditioning agents and lipids, up to 100% grey/white coverage. Wella Koleston Perfect Innosense 8/3 Light Gold Blonde, 1st permanent colour of its kind to receive the European Centre Allergy Research Foundation seal of approval, Perfect Innosense creme colour formula contains up to 25% conditioning agents and lipids, up to 100% grey/white coverage. Wella Koleston Perfect Innosense 8/34 Light Gold Red Blonde, 1st permanent colour of its kind to receive the European Centre Allergy Research Foundation seal of approval, Perfect Innosense creme colour formula contains up to 25% conditioning agents and lipids, up to 100% grey/white coverage. Wella Koleston Perfect Innosense 77/44 Medium Intense Red Blonde, 1st permanent colour of its kind to receive the European Centre Allergy Research Foundation seal of approval, Perfect Innosense creme colour formula contains up to 25% conditioning agents and lipids, up to 100% grey/white coverage. Wella Koleston Perfect Innosense 5/7 Light Brunette Brown, 1st permanent colour of its kind to receive the European Centre Allergy Research Foundation seal of approval, Perfect Innosense creme colour formula contains up to 25% conditioning agents and lipids, up to 100% grey/white coverage. Wella Koleston Perfect Innosense 7/7 Medium Brunette Blonde, 1st permanent colour of its kind to receive the European Centre Allergy Research Foundation seal of approval, Perfect Innosense creme colour formula contains up to 25% conditioning agents and lipids, up to 100% grey/white coverage. Wella Koleston Perfect Innosense 0/43 Red Gold, 1st permanent colour of its kind to receive the European Centre Allergy Research Foundation seal of approval, Perfect Innosense creme colour formula contains up to 25% conditioning agents and lipids, up to 100% grey/white coverage. 3%, 6%, 9% and 12%.